The L-1500D amplifier is a 1,000 Watt (MAX) mono amplifier optimized for low bass response of subwoofers and is 1-Ohm stable. The amp employs both high/low level inputs for compatibility with a variety of radios. 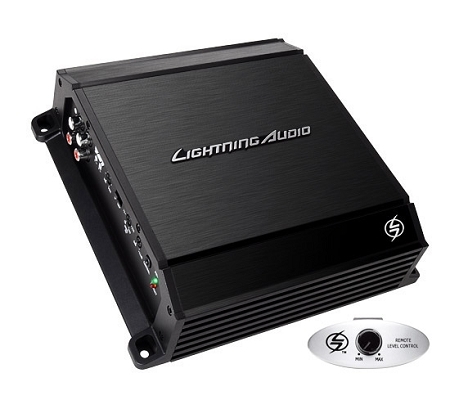 The amplifier also features a variable 12dB/octave crossover, fixed infrasonic filter to manage subwoofer excursion and a 180-degree phase switch. Bass is handled by a variable on-board bass boost, a remote level control, and RCA pass-through for future expansion.